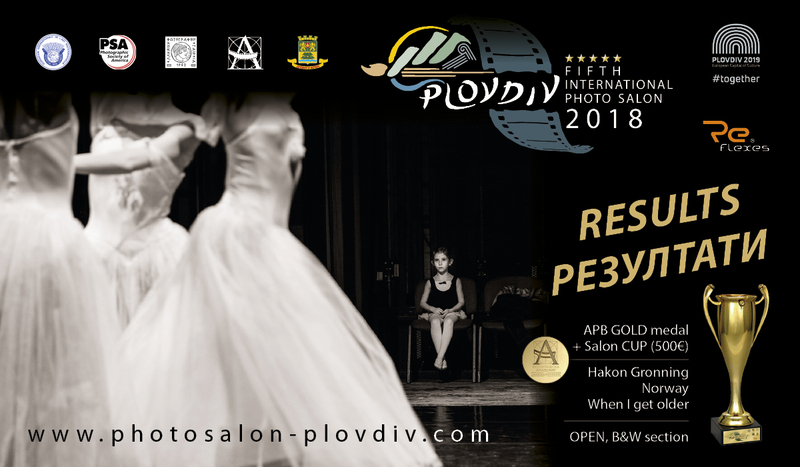 Thank you ones again for the participation in the Fifth International Photo Salon Plovdiv (BULGARIA) 2018 under the patronage of FIAP, PSA, HPS and APB! On 24.05. and 26.05.2018 was held the judging. reviewed a total of 4438 photographs, entered by 351 participants from 50 countries in all 6th sections. The final selection included 944 photographs of 282 participants from 49 countries. Each member of the jury evaluate each your photography with assessment from 1 to 4. The result is the sum of the points of all 5 members of the jury (the minimum number of points is 5 and the maximum is 19). Report with all the award winning authors and their works can be found HERE. In the notification cards (in personal letter by e-mail) you will received detailed statistic of your participation with the following codes.